I haven’t posted any pictures of the Hunter Star quilt for awhile, because frankly even though I was working on it steadily, a picture would not have looked much different from the one already posted. But yesterday evening I finished the quilt top so here it is. Instead of an inner border, I inserted a 1/4″ piping between the body and the border. 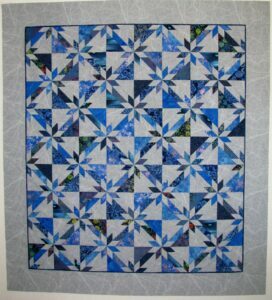 I really like how the little sliver of blue frames the middle of the quilt. The finished size is 58 1/2″ x 64 1/2″ which is a good size for a seven year old. 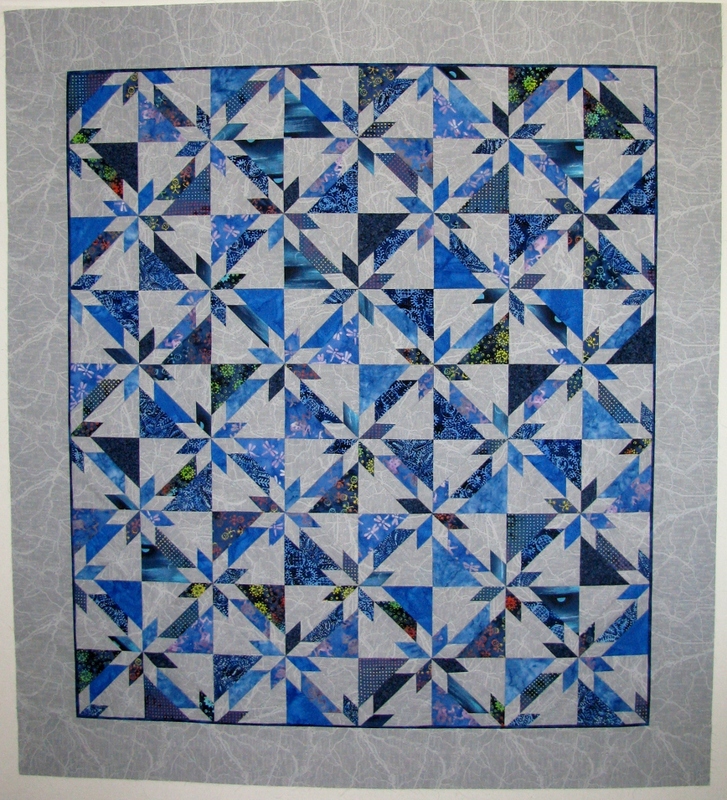 It is going to stay on the design wall while I contemplate quilting designs – probably something with stars. I am planning to start the machine quilting towards the end of this month. The goal is to have it completed by the middle of July.